Navigation: General Info Instrument Rating | 7-day IFR Rating | IFR Adventure | IFR Adventure FAQs | IFR Adventure Itinerary | Holding | IFR Risk | Trip Reports | Flight Profiles | Rating Requirements | After the IFR Rating | Checkride Reviewer | Visi-Hold | Are you ready? in actual or simulated conditions, a hold, and intercepting and tracking courses. This isn't as bad as it seems. You'll go flying at least once each month right? So do an approach into your home airport. If you're under the hood (with an appropriately rated safety pilot) prior to initiating the approach, it counts. And here's another piece of good news. Since you're doing this approach in actual IMC or with a safety pilot, its only you who knows how well you did. There's no evaluative pressures of flying with a CFII like during your initial training. Yes, you should stick to the standards set out by the PTS, but its you who evaluates yourself against those standards. - improve your aircraft operating technique. 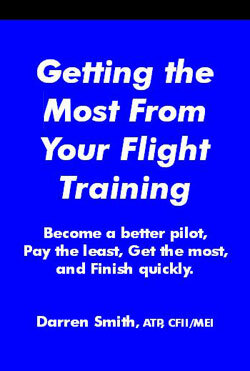 - tips to perform approach more proficiently in that aircraft. - airmanship as it relates to that aircraft operating under IFR. This may be the best reasoning to chose a highly experienced CFII rather than a safety pilot when doing those 6 approaches. When looking for a CFII to help you in these areas, select someone with a solid knowledge of your aircraft. What happens if you don't get your 6 approaches in the last 6 months? Bad stuff doesn't start happening immediately. You'll have six additional months to get your approaches & holding. The only catch is that you can't fly IFR on your own until you get current. That means you must use a safety pilot or CFII to get current. As soon as you do those six approaches, a hold, and intercepting and tracking a course, then you're legal to go fly IFR again. What happens if you don't get your 6 approaches in the last 12 months? Thats when bad stuff starts happening. If you haven't done your six approaches, a hold, and intercepting and tracking a course and its been a year, you'll have to go to a CFII and get an Instrument Proficiency Check. The Instrument Rating PTS dictates the format of the IPC. The CFII will be required to perform a checkride where you'll be required to meet PTS standards for the rating you hold. For more information about the IPC, click here. Must you use a CFII? What about a CFI? A CFII is an authorized instructor qualified and certificated to perform instrument instruction. A CFI is not. I know quite a few CFIs who would like to disagree with me, however a CFI is limited to performing the 3 hours of instrument instruction required for the Private and Commercial ratings. Nothing more. That training is limited to flight with reference to the instruments, standard rate turns, climbs, descents, straight & level, and unusual attitudes. The FAA created a breed of instructor who is authorized to teach instrument procedures and conduct IPCs: the CFII. If you need to get current and you hire a CFI, technically he is authorized to act only as a safety pilot.